On October 17, 2018, when The Cannabis Act becomes law, Canadians will be able to legally purchase cannabis. As cannabis becomes more accessible, Canadians should take time to consider the consequences of “drugged driving” – driving while under the influence of cannabis or other drugs. Driving while impaired by drugs has been illegal in Canada since 1925 and the legalization of cannabis will not change that fact. Drug impaired driving laws have actually become stricter and more detailed in anticipation of cannabis legalization. Drug-impaired driving incidents more than doubled between 2009 to 2017 as use of cannabis increased and detection methods improved. According to Statistics Canada, 1.4 million or 5% of Canadians reported having been a passenger in a vehicle driven by someone who had consumed cannabis in the previous two hours. 1-in-7 cannabis users reported having driven within 2 hours of using cannabis. A more recent poll suggests this number could be much higher: in a poll of 1000 Ontario residents who both use cannabis and own, lease or drive a vehicle, 48% admitted to driving while under the influence of cannabis. Without proper education these numbers are at risk of growing following legalization. While regular cannabis users have stated that legalization will not increase their use of the drug, it is likely to lead to increased use by more casual cannabis users. Most people are unaware of the impact cannabis has on their ability to drive. A survey conducted by Public Safety Canada found that 43% of Canadians surveyed do not know how long to wait after consuming cannabis before it is safe for them to drive. 65% of those who responded agreed that they have often failed to realize they were impaired after using cannabis. Cannabis impairment depends on the cannabis you use, how much you use, how you consume it, your experience with the drug and other very individual characteristics. These factors make it difficult for anyone to properly assess how impaired they might be after consuming cannabis. Reduce the ability to make decisions quickly or handle unexpected events. A Norwegian study which analyzed multiple international collision studies from 1982 to 2015 found that consuming cannabis increases the risk of a collision by about 30%. According to the Government of Canada 40% of drivers killed in car collisions test positive for drugs (including cannabis). Another recent study reports a significant increase in traffic deaths in the United States on April 20th or “4/20” – a date on which cannabis users celebrate the drug. While alcohol is likely a contributing factor, this increase is more significant than that on Super Bowl Sunday, another alcohol heavy celebratory day. Along with The Cannabis Act the government has passed Bill C-46, An Act to Amend the Criminal Code, which came into force on June 21, 2018. The amendments provide new criminal offences for cannabis impaired driving and approve new procedures for testing for cannabis in drivers. If impaired driving causes either bodily harm or death the maximum jail times are much higher, up to life imprisonment. This Bill also allows police to conduct roadside tests using approved oral fluid screening equipment if they have a reasonable suspicion that the driver has consumed drugs. These oral fluid testers will scan for THC and can also detect cocaine, methamphetamines and other impairing drugs. It will take some time for these devices to be approved, distributed and to have police officers trained in their use. Additionally, Ontario is taking a “zero tolerance approach” to drug use and driving for all young, novice and commercial drivers. Drivers who are 21 years of age or younger, drivers who have a G1, G2, M1 or M2 license and drivers of commercial vehicles are prohibited from having any cannabis in their system while driving. Medical cannabis users can be exempt from this Ontario rule. However, medical cannabis users can still be charged if a police officer believes they are impaired as a result of the drug. Conclusion – Don’t risk it! 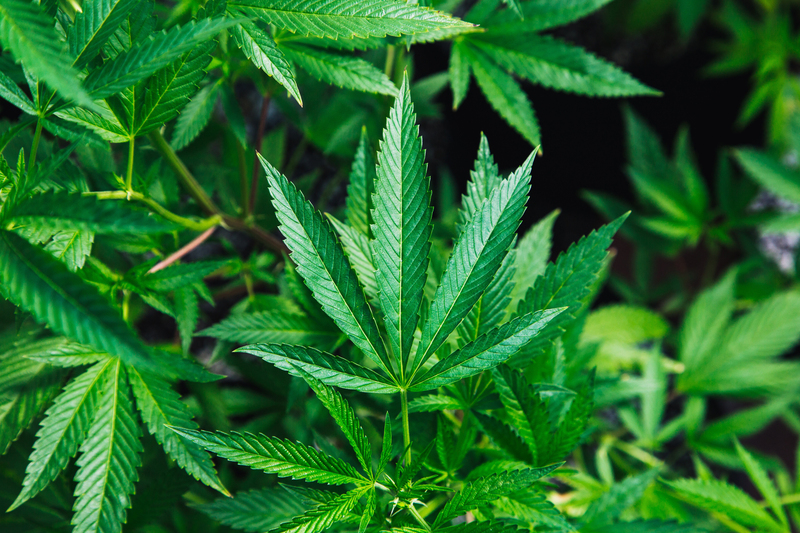 Some cannabis rights activists argue that the limits above would not impair a regular user of cannabis and that these limits are especially unfair to those who use cannabis for medicinal purposes. However, others argue that the levels above are likely to leave anyone impaired. And at the end of the day, driving is a privilege and not a right. Drivers must respect the law and respect the safety of all those using public roadways. Until there is better data on how cannabis impairs different types of users, don’t take a chance – don’t use cannabis and then get behind the wheel. The Canadian Centre for Addiction and Mental Health recommends waiting at least six hours after smoking cannabis before you drive. The time could be longer for other consumption methods. If you do plan on using cannabis outside your home, make a plan for safe travels. Plan for a designated driver or call a friend or cab to drive you. Do not risk your own and other’s safety by using cannabis and then driving. Stay safe and make smart, informed choices regarding cannabis and driving! If you or a loved one are injured by an impaired driver contact one of the personal injury lawyers at McLeish Orlando LLP for a free consultation.